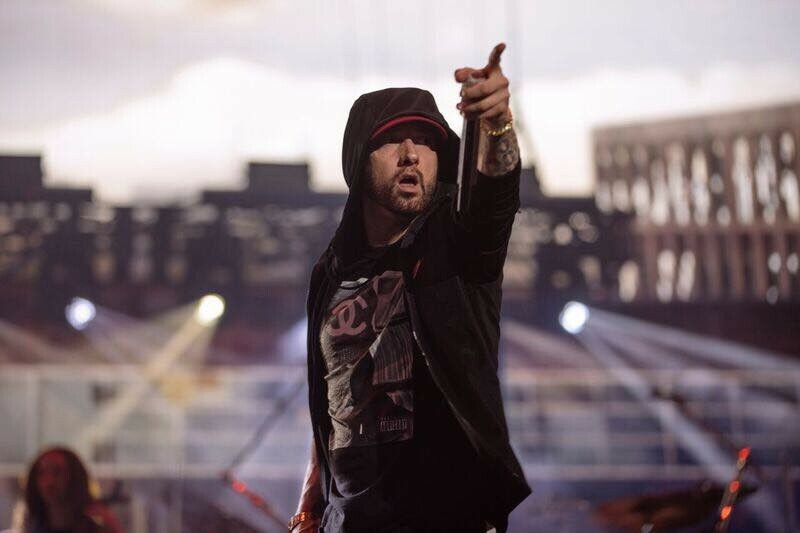 American rapper Eminem just dropped a new album “Kamikaze” on August 31th, following the ninth album "Revival" the release 2017. He made it his second full length studio album in 8 months. The album was executive produced by Dr. Dre and Eminem. The album comprises 13-track and features guest appearances from Royce Da 5'9, Joyner Lucas and Jessie Reyez. Also, the album includes the song "Venom" from American superhero film "Venom" soundtrack, which directed by Ruben Fleischer, starring Tom Hardy. Mike WiLL Made-It, Boi-1da, Ronny J, and Tay Keith are listed as producers. Also Kendrick Lamar contributed “Greatest” and Little Dragon contributed “Normal”. The artwork for Kamikaze apes the illustration of the jet rudder and stabilizer from the cover of Beastie Boys’ ‘80s hit Licensed to Ill.